The 2018 midterm elections have finally come to a close. 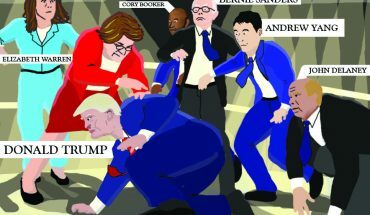 The Democrats took the House of Representatives, flipping multiple incumbent Republican seats in the process, while the Republicans maintained control of and made gains in the Senate, unseating several high-profile Democrats in the process. In Virginia, longtime incumbent Tim Kaine kept his Senate seat, defeating Republican challenger Corey Stewart by a significant margin. In the House, major Republican representatives Barbara Comstock, Dave Brat and Scott Taylor all lost their seats to Democratic newcomers. Across the nation, the House of Representatives elected the most female representatives in the history of the legislative body, as well as the first two Muslim women in Congress. According to data collected by CBS News, voter turnout across the country was at 49 percent, the highest turnout ever for a midterm election. 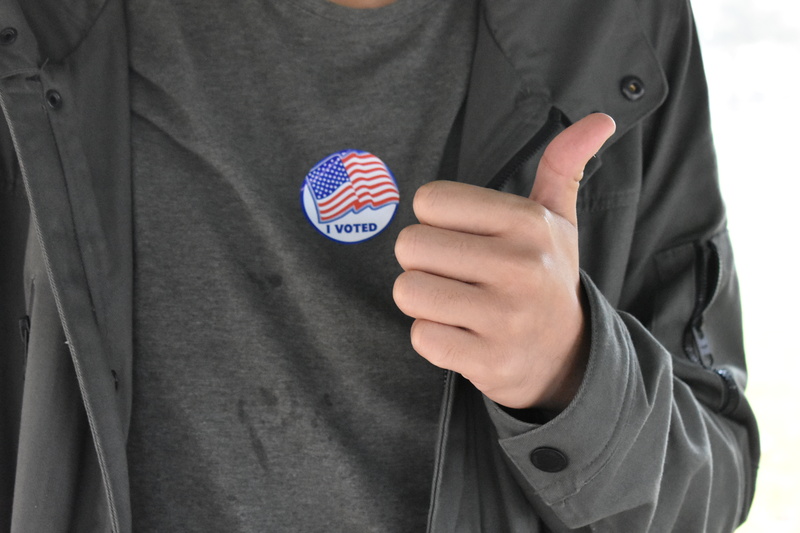 At Mason, nearly 50 percent of students who voted were first-time voters, according to exit polling data from Student Media. “It’s clear from voter turnout and exit polling data [that] Mason students care about being civically involved,” said Student Government Vice President Erik Truong, who helped conduct exit polls outside Merten Hall. 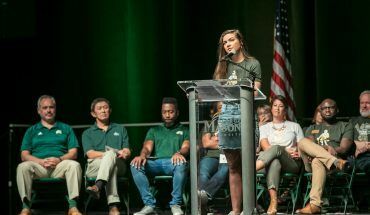 While the results came in on Tuesday night, some students chose the comfort of a safe space provided by GMU Student Power and Students for a Democratic Society in an event called “Solidarity for Survivors.” The event offered survivors of sexual assault a comfortable space to watch the results in the wake of the confirmation of Justice Brett Kavanaugh, according to Student Power president Sara Deriso. “With the emotional testimony of Christine Blasey Ford, many survivors of sexual assault have been reminded of their own traumas when consuming media in this political climate,” said Deriso. However, the elections may not be over just yet. At the time of writing, the Florida races for governor and Senate, the Georgia race for governor and the Arizona race for Senate were still too close to call. All three races are considered to be “key races” by CNN. In Florida, the gubernatorial election was open, meaning incumbent governor Rick Scott did not seek reelection. Although Democratic candidate Andrew Gillum conceded to Republican Ron DeSantis, the race was close enough to trigger a machine recount. Additionally, Rick Scott chose to challenge incumbent Democratic senator Bill Nelson, another race that is currently too close to call. College Republicans could not be reached for comment. Alexander Shedd is the Editor-In-Chief of Fourth Estate for the 2018-2019 year. He is a Government and International Politics major and Journalism minor in the class of 2019. 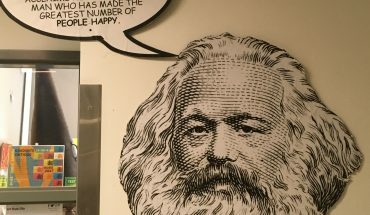 Why is Marxism Still Cool?